Catholic ecclesiology stands at the threshold of a new moment in the reception of the Second Vatican Council. The election of Pope Francis—coinciding with the fiftieth anniversary of the council—has inspired a fresh consideration of its teaching in such diverse areas as ecumenism, inculturation, missiology, and ministry. The chapters in this volume have their origin in a special symposium honoring the ecclesiological legacy of Thomas F. O'Meara, OP. The symposium called together over forty leading North American scholars in order to discuss the future of Catholic theological reflection on the church—a conversation that offers an entry into some of the most pressing issues in ecclesiology today. Richard R. Gaillardetz holds the Joseph Chair of Catholic Systematic Theology at Boston College. He has published numerous articles and has authored or edited ten books, including Keys to the Council: Unlocking the Teaching of Vatican II (co-authored with Catherine Clifford), published by Liturgical Press, and is a contributor to Give Us This Day. Dr. Gaillardetz has been a delegate on the US Catholic–Methodist Ecumenical Dialogue and served as president of the Catholic Theological Society of America between 2013 and 2014. Edward P. Hahnenberg holds the Jack and Mary Jane Breen Chair in Catholic Systematic Theology at John Carroll University. He is the author of four books—including Awakening Vocation: A Theology of Christian Call and Theology for Ministry: An Introduction for Lay Ministers, both published by Liturgical Press—and numerous articles in academic and pastoral journals. He is a contributor to Give Us This Day. Dr. Hahnenberg is a past consultant to the US Bishops Subcommittee on Lay Ministry and current delegate to the US Lutheran–Catholic Ecumenical Dialogue. What an excellent set of writings! By turns insightful, inspirational, and critical, but always interesting, the book's method of looking back and looking ahead offers deep understanding of the present church in its messy, graced reality. So much is in bud. Read it and experience the maturing of the theological voice in North America. "As might be expected with such a collection of accomplished, thorough scholars, each of these essays stands alone as an important contribution to future ecclesiological discourse. The book as a whole would make an excellent source for an upper‐level undergraduate or graduate course in ecclesiology, as well as for the educated lay reader. It meets and exceeds one standard for evaluation of a collected volume, therefore—there are no weak essays, no `duds,' but nine examples of creative, substantive scholarship." An engaging collection that demonstrates the vibrancy, range, and continued promise of US ecclesiology today. As well as being a most valuable addition to any syllabus engaging the church of our times, it serves as a fitting tribute to Thomas O'Meara, OP, a true theological great whose own creative theological work and wider ecclesial service alike have embodied a vision of A Church with Open Doors across many fruitful years. "A good introduction to the contemporary Catholic questions about the nature of the church and its place in the world for any educated reader. It is approachable without oversimplifying, and broad without feeling disconnected." If Pope John XXIII wanted to open a window into the church, Pope Francis wants to open its doors. This challenging book, the fruit of an extraordinary gathering of ecclesiologists brought together by Boston College, explores what the church of Pope Francis might mean for questions of evangelization, authority, ministry, gender, and ecumenism. Sensitive to cultural changes and demographic shifts, its starting point must always be mission with a special concern for those on the periphery. "Reflecting the vibrancy, range, and promise of contemporary US ecclesiology, this book will form an invaluable contribution to courses that explore ecclesiology and especially those that focus upon the church in recent and future times." "The debates in theology and the wider ecclesial community during the last few decades underscore that ecclesiology is unlikely to return to its earlier `dogmatic slumbers.' For that reason, the Church as a whole needs rich resources as communities grapple with complex questions. This book is such a resource. Indeed, this book could be a model for ecclesiologists in other countries wishing to undertake a similar study of their local Churches." 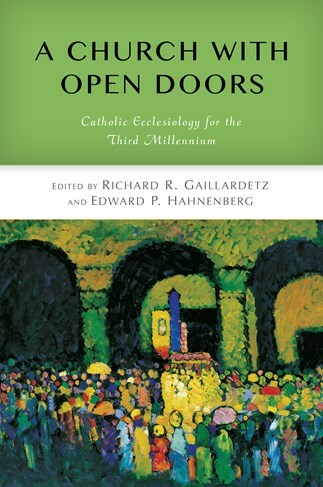 Nine first-rate theologians here offer their analysis and insights concerning key areas in Catholic ecclesiology, including authority, ministry, culture, gender, ethnicity, mission, liturgy, and ecumenism. The reader gains access to the most current state of theological discussion as the authors not only frankly acknowledge the seriousness of present challenges but also give solid advice concerning the future of the church. This book cracks open the doors of the church for a wide audience—students, parishioners, and seekers alike—with essays by the most respected US theologians, younger scholars and seasoned veterans, that explore the most challenging and most promising topics in the theology of the church today.